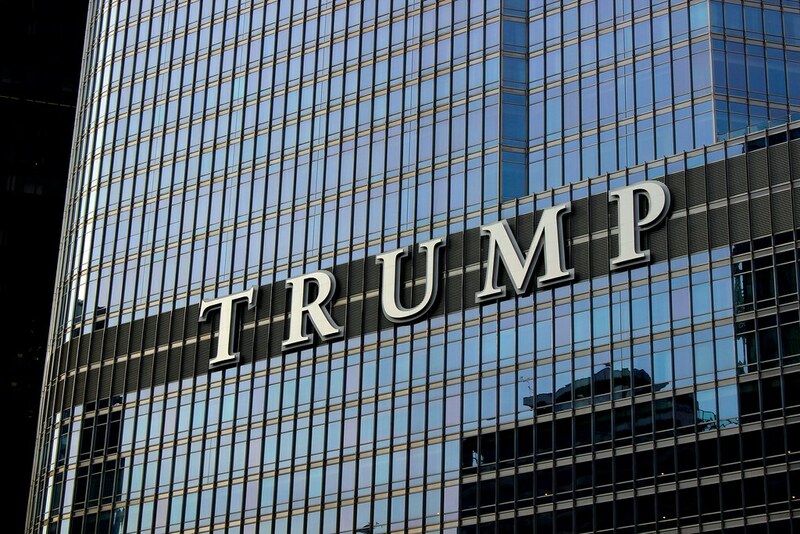 It appears that the beginning of the end of Trump’s real estate empire has begun as fortunes plummet, and the Trump name is being scrubbed off skylines from New York to Rio to Toronto as the Trump brand backfires. The Guardian reported last week on the beginning of the end of Trump’s real estate empire, stating that global properties are dumping their licensing agreements to carry the Trump name. Since the Donald embarked upon his political career his surname appears to have become a liability…. According to a recent report by CityRealty, a real estate listings and research service, prices in the 11 Trump-branded condo buildings in Manhattan dropped below the borough average for the first time ever at the end of 2017. While the average price per square foot for all Manhattan condos fell by 1%, the price per square foot for condos in Trump buildings fell 7% in the 12 months to November 2017. 11 of the 12 NBA teams that had once stayed at Trump SoHo boycotted the hotel and Koi, a high-end sushi restaurant that had once been frequented by celebrities, closed in April 2017 after seeing a slump in business that may have related to the new president. The choice of name perhaps reflected prevailing public opinion towards the Trump hotel collection. YouGov data compiled exclusively for Guardian Cities shows that high-income Americans have a dramatically lower impression of Trump-branded hotels than they do other hotel brands at the same price point. While Americans with a family income of more than $100,000 had positive impressions of the Ritz-Carlton, JW Marriott, Four Seasons, Westin and Omni hotel brands, sentiment of Trump hotels alone was overwhelmingly negative: reaching a high of -5.4 in November and a low of -17.1. The shakeup has not been limited to Trump properties in the USA. Major troubles hit Trump properties since Trump took office. Room rates across President Donald Trump’s global hotel empire have nosedived by as much as 63 percent since he moved into the White House while the billionaire continues to deal with allegations of conflicts of interest since taking office. Twelve of Trump’s 13 titular hotels experienced a decline in room rates when comparing prices from January 2017 to January 2018, according to The Telegraph, which cited travel currency service FairFX. Prior to his inauguration, a two-night stay at Trump Las Vegas cost $844, but now goes for $314, the biggest fall for one of the president’s properties. Trump’s private real estate empire officially lost one of its most important tenants on Monday [December 4], when Nike announced that it is closing its store at the president’s 6 East 57th Street property in New York City next spring in favor of a new location just a few blocks away…. Losses are not limited to the Trump organization either. Trump’s personal wealth fell $600 million on Forbes 2017 ranking of the 400 richest people in the world, dropping 92 spots to #248. The magazine cited a tough New York real estate market, a costly presidential campaign, and declining visitors at several of his golf properties. The retail side has suffered, as well. Ivanka Trump’s fashion line was trying to expand into Japan, but the deal was canceled, her company said in a letter to the House Judiciary Committee, after it said it learned that the company’s major shareholder was the state-owned Bank of Japan. Macy’s dropped Trump’s signature ties in July 2015 after he made disparaging remarks about Mexicans in announcing his candidacy. Even before taking office, Trump’s acrimonious presidential campaign had already started to shave the shine off his own brand. The number of luxury consumers who rated the Trump brand as “upper class” fell to 50 percent, according to the January 2016 results of an annual brand survey from BAV Consulting, a division of advertising giant Young & Rubicam. Those equating the Trump brand with prestige also saw a 40 percent decline.